This ring is so fantastic that every lady would fall in love with it by the first sight. 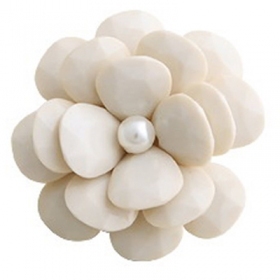 The Large Flower is a little exaggerate but also elegant, the chic flower will surely be a nice decoration for your hand. If you want to make your finger more beautiful, Then you won't miss this Elegant Ladies' Trendy Big Flower Ring.